1. Don't leave your heater on in an unattended room. This also includes leaving it running while sleeping. Just don't do it, its just not worth the risk. 2. Make sure you have at least a 3 foot perimeter around the unit that is clear of clutter. 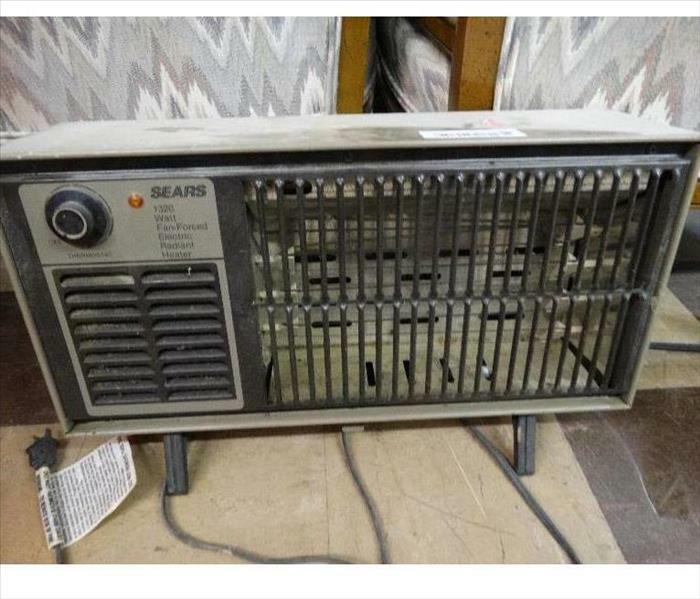 Its easy to move the space heater a little closer for the warmth but doing so causes risk. Keep it away from bedding, curtains, trash, etc. Also don't try to dry your clothes by setting them on the heater. 3. Watch what you plug your space heater into. Never plug your space heater into a power strip or extension cord. Space heaters pull a lot of power so you always want to plug it directly into the wall. You don't want to plug anything else into that wall outlet due to the power the heater pulls. 4. Watch the kids and pets. Young children and pets could easily knock over a space heater and cause a fire. It is best to unplug the unit when they are in the area. 5. Make sure to inspect it, regularly. Space heaters are only used a few months out of the year so before you plug in make sure that the cord is in good condition. Also inspect the whole unit, if something seems off, don't use it. They get moved around so things can come loose or break, make sure you have inspected your unit. An apartment fire can be devastating. However, the aftermath can be more stressful than the initial experience as everyone struggles to understand who is responsible for what fire damage. Thankfully, the rules of responsibility are pretty cut and dry. Essentially, responsibility and ownership are the leading determiners for financial responsibility. 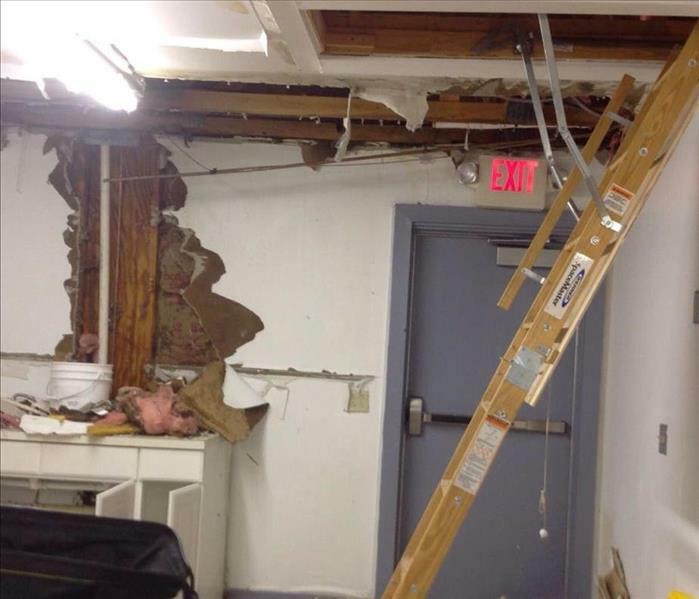 The property owner owns the building and therefore his or her insurance is responsible for covering building damages. The tenant owns their belongings, and thus his or her coverage is responsible for covering personal items. The building structure and the surrounding property should be covered under the apartment owner’s insurance policy. Therefore, unless the owner is proven negligent, the insurance will cover any damage incurred during the apartment fire. As the owner is not responsible for a tenant’s belongings and as such is not liable for them, he or she cannot be held accountable for any damage unless, again, proven negligent. 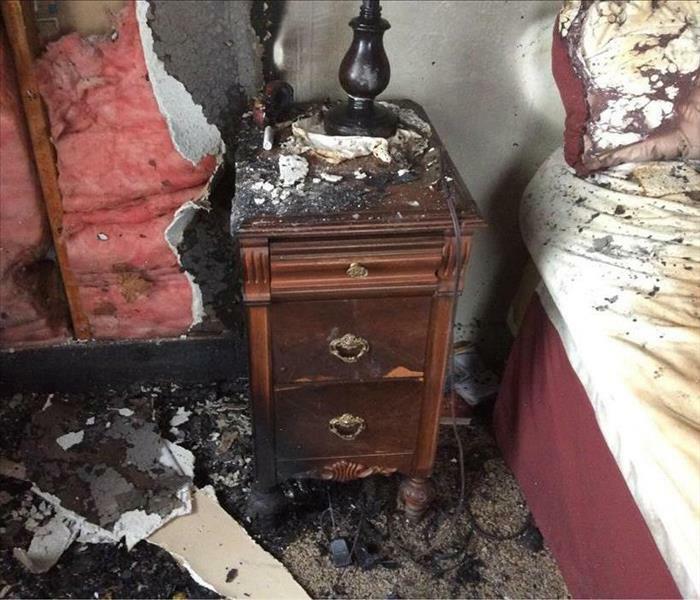 As tenants are responsible for their belongings, like furniture, clothing and other personal items, his or her insurance will cover this damage. This coverage can be challenged if the tenant is proven both negligent and responsible for the initial blaze. While there does exist a clear division between insurer responsibility, the use of a fire remediation specialist in the Bowling Green OH area is most likely the responsibility of the building owner and their insurance policy. The responsible party can be disputed depending on the initial cause of the fire. An apartment fire is difficult for everyone involved. Whether you are the owner or a tenant, the loss of property can be emotionally taxing enough without worrying about who is responsible for covering what damage. However, in most cases, the property owner is responsible for the building, and the tenant is responsible for their belongings. The past few decades has seen a rapid advancement in the technology and techniques used in the restoration industry. These advancements allow SERVPRO of Bowling Green and West Lucas County Professionals to restore a property back to preloss condition quickly, reliably, and more effectively. With the colder months of the season beginning to set in, Bowling Green residents prepare for what could always potentially be a difficult winter. 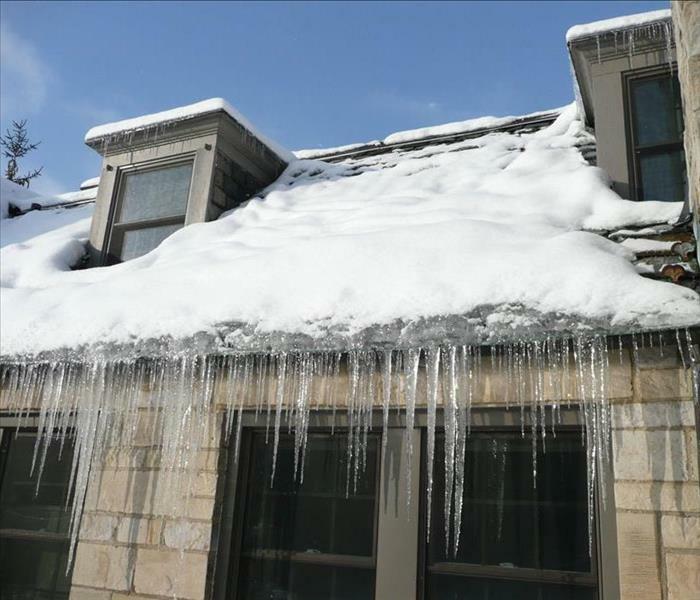 Heavier snowfalls threaten homes, especially when several days of hard snows compact onto roofs throughout the area without temperatures rising enough to melt or getting cold enough to freeze. Either of these scenarios presents a weight issue for your roof, which can expose vulnerable points to allow moisture penetration and eventual water flow into the property. Your home could experience flood damage if your roof is compromised. When water begins to find a path inside of your house through the attic space, the flow of melting snow from this opening in your insulation could be substantial depending on the amount of snow still trapped on top of the house. This water damage can spread quickly through the attic space and begin to affect the floors below. Our SERVPRO of Bowling Green and West Lucas County team can respond quickly at the first sign of flooding in your home. We have the advanced equipment and the experience to help mitigate your loss while we establish what is necessary to overcome the effects throughout the property and return a restored home to you. This initial assessment can also help to provide your insurance provider with the necessary documentation and evidence of the damages to speed up the process of claim approval to afford the restoration work required. With flooding in your home, the first step is boarding up the damaged area of the roof to prevent further penetration until reconstruction efforts can occur. Depending on the damages, these rebuilding efforts must happen before restoration work can begin. Our SERVPRO franchise offers build back services to provide a comprehensive package for our customers with reputable licensed contractors. With winter upon us I thought it would be a good time to put out our reminder about staying safe on the road this winter. Have you ever heard of a Bug Bag? A Bug out bag is something you can grab in a hurry to help you survive. One of the best reasons to have a bug out bag is in the case of a home fire. Why you may ask? Well, home fire can start with just a small flame and turn into a fully engulfed structure in just a matter of minutes leaving you only seconds to escape. A Bug Out Bag can be as elaborate or as simple as you wish but for the purpose of this article we are suggesting to keep it simple. This bag should be kept within reach, such as next to your AND your children's beds. If a fire was to strike in the middle of the night you want quick access. In the bag you should consider some type of fire hood. On the high-end is the iEvac Certified Smoke/Fire Hood. It protects against toxic gasses such as carbon monoxide (the number one cause of death and injury in a fire), smoke, hydrogen sulfide, chlorine, ammonia, hydrogen cyanide, sulfur dioxide, tear gas and more. There are several options out there and a little research goes a long way. Next we suggest a fire Blanket and a Flashlight. Another great addition is a whistle! I know this may sound strange but if you are trapped and can not escape on your own blowing a simple whistle will help to alert firemen to where you are located. This bag is simply for you to get out alive! Remember to have a plan! Talk to your children ! And most importantly ALWAYS Make sure you have working smoke detectors in you home. Household fire disasters have challenged humans for thousands of years, but fortunately for fire victims in Delta, the strategies used to recover have evolved. There are many reasons to rely on professional assistance when recovering from a fire. The up to date equipment and continuously refined techniques our technicians have at their disposal are excellent rationales to hire our fire damage specialists. After a fire damages your Delta home, the need for cleanup and restoration can be significant. The first task is often water removal and structural drying because of firefighting efforts. Our technicians receive certification from the IICRC to respond to both water and fire damage, streamlining the process. Commercial grade pumps, water extractors, air movers, heaters, and dehumidifiers are standard equipment on our service vehicles, allowing our crew to begin work immediately after the project manager assesses the damage. Clean up of smoke and soot damage involves working with toxic residues. SERVPRO of Bowling Green and West Lucas County crew members complete training guiding them on how to complete the cleaning tasks safely, including the use of containment equipment in severe scenarios. We can protect areas of your home unaffected or only slightly damaged through the use of negative pressure air scrubbers that seal off the spaces as we clean them, filtering the air and preventing debris from spreading further. Because smoke and soot are airborne and have a head start during the chaos of the fire, they frequently make their way far from the burned area. The damage can be invisible to the untrained eye, but SERVPRO employees know what to seek and where the harm often occurs. If this “invisible” damage is ignored, the result is progressive deterioration and increased costs to the homeowner. Our crews use appropriate products and tools to clear away the hidden fire damage, following industry protocols that avoid worsening the scenario. The SERVPRO of Bowling Green and West Lucas County production facility has specially trained technicians and a range of cutting-edge equipment and resources to restore various items of personal property, furnishings, window coverings, and documents. We create and maintain a detailed inventory when we transport items to our base and work closely with your insurance as we complete all fire damage recovery tasks. One of the most rewarding things about running a locally owned business is giving your customers a positive experience every time that they step through your doors. Small disasters can sometimes pose a significant threat to this positive experience, however, and you need to get the mess cleaned up quickly and thoroughly to prevent lasting damages to the building. Every business owner focuses on cutting out the extra spending, even when it comes to approaching water damages to their business. Most believe that these situations can get taken care of without professional intervention, but this is rarely the case. There are effects and lingering damages that can continue to affect your business long after the initial mess has gotten seemingly cleaned up. One of the things that you need to consider when it comes to cleaning up a mess like this is the far-reaching effects of water spreading throughout areas of your business. With various flooring materials and drywall, saturation can occur in a brief period which puts a timeline on when the damage must get restored before the material becomes unsalvageable. Our SERVPRO of Bowling Green and West Lucas County team can say that We’re Faster To Any Size Disaster because that is the commitment that we have made to the clients we serve throughout the area. 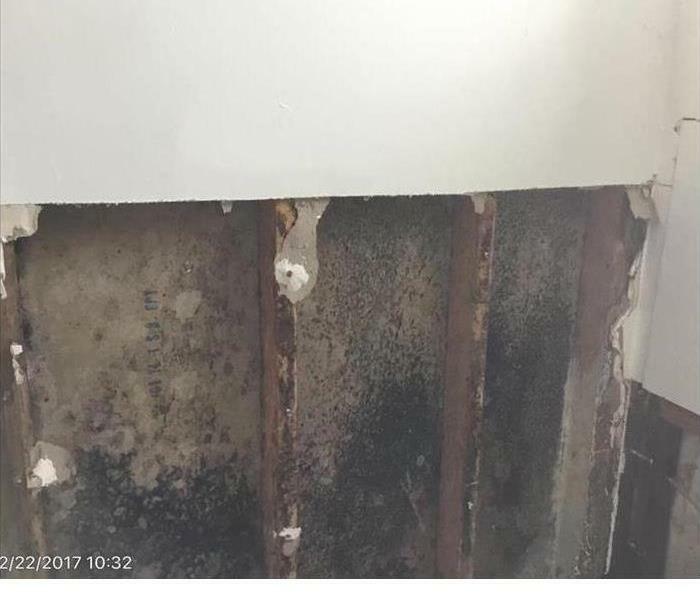 Another reason that you should consider our SERVPRO restoration services for the water damage in your facility are adverse secondary effects. Lingering water and moisture can allow mold spores present in the environment to seat and colonize. When running a restaurant, mold damage is one of the situations that could stop your business in its tracks and prove costly to remediate and verify that the health hazard of mold exposure has gotten successfully removed. The ground surrounding a home in Whitehouse, Ohio was not quite as dry as they owners thought. They had been watering their lawn too much and the water has gone through the cement foundation causing wet drywall and lots of mold. 3/4 of the walls in the basement needed to be pulled out and replaced. How many homeowners have descended their basement steps after a heavy storm to find a pool of murky water? Water follows the path of least resistance, finding cracks and holes through basement walls. Flooding can often be attributed to insufficient drainage around basement walls, heavy rains, a faulty sump pump, or a combination of these factors. SERVPRO of Bowling Green and West Lucas County is highly trained in water damage restoration including basement and crawlspace flooding at a storm. We have the experience, expertise, and equipment to remove the water and dry your basement or crawlspace properly. Our water removal and drying process emphasizes monitoring and documentation to validate your property is dry. Basements can flood day or night, on weekends and even holidays, weather dose not wait around for you and that’s why SERVPRO of Bowling Green and West Lucas County offers 24 emergency service, 365 days a year. You can expect an immediate response time, day or night. 11/23/2018 - Keeping warm and what you should know.